10.9 Tensile Strength . ?Alloy Steel material . Hex Socket Button Head .? Fastener Type: Machine Screw . 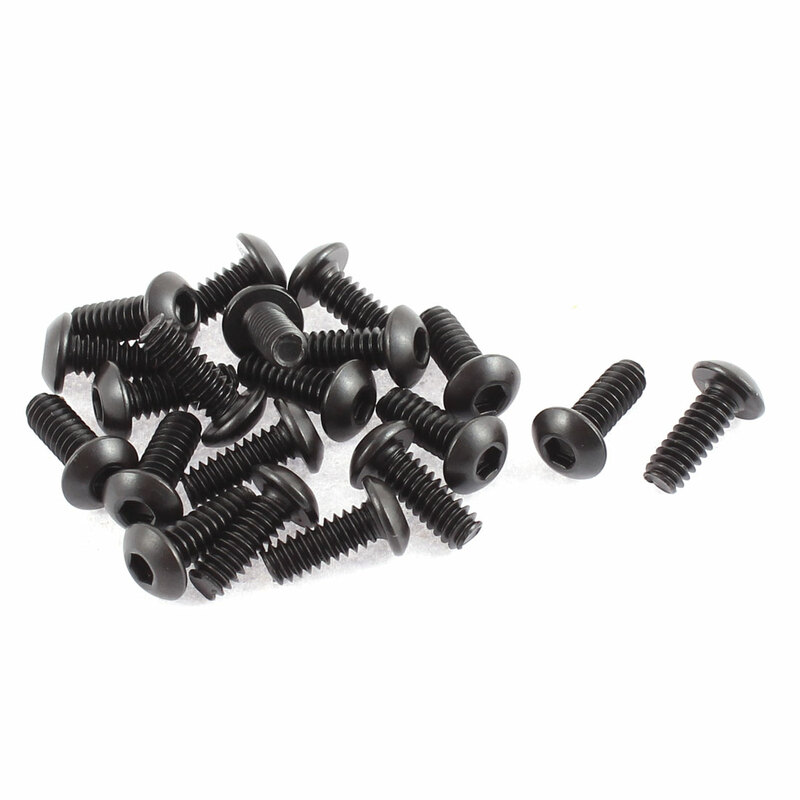 Weight: 43g; Main Color: Black; Total Length: 15mm/0.6"
Thread Count: 24; Head Diameter: 9mm/0.35"
Hex Socket Width: 3mm/0.12"; Head Height(Approx): 3mm/0.12"